Anne McRay is a printmaker and photographer from Vermont. 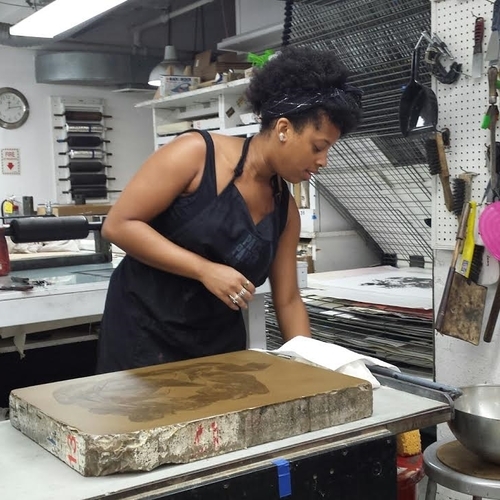 She has a BA in Media Studies from Mount Holyoke College and has interned at the Lower East Side Printshop. Anne works in intaglio methods, she is available to assist printers with etching, aquatint and drypoint. She is also familiar with screenprinting, relief, and pronto plate lithography. 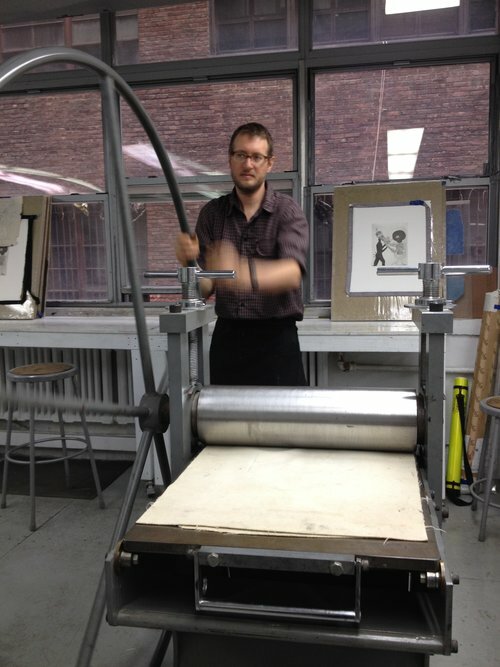 Keith is a printmaker and book artist from Seattle. He studied with Fred Hagstrom at Carleton College and Karen Kunc at the University of Nebraska-Lincoln, where he received an MFA in 2016. Keith has expertise in traditional print processes and particularly enjoys making mixed media prints and working with handmade paper. Stephanie Bell graduated from the Delaware College of Art and Design in 2007 with an MFA concentration Photography. Then transferred to the University of Delaware and graduated with BFA in 2010. In 2011 she did back-to-back 3 month internships at the Women's Studio Workshop as a cook and a studio intern. All these places taught her some stuff about etching, silkscreen, and letterpress. She recently completed a two week residency at Printmaker's Open Forum in Oxford, PA where she made more etchings. She likes drawing a bunch.